Just months after San Francisco was blindsided by thousands of rental e-scooters "flooding" its streets, the city's transportation director has some advice for Toronto. After seven years managing subways, buses and taxis for San Francisco's transportation department, Ed Reiskin was blindsided this year by a small but incredibly disruptive new vehicle — the electric scooter. "In March of this year no one had ever heard of these things, and in April our streets were flooded with them," said Reiskin, the director of transportation for the San Francisco Municipal Transportation Agency. 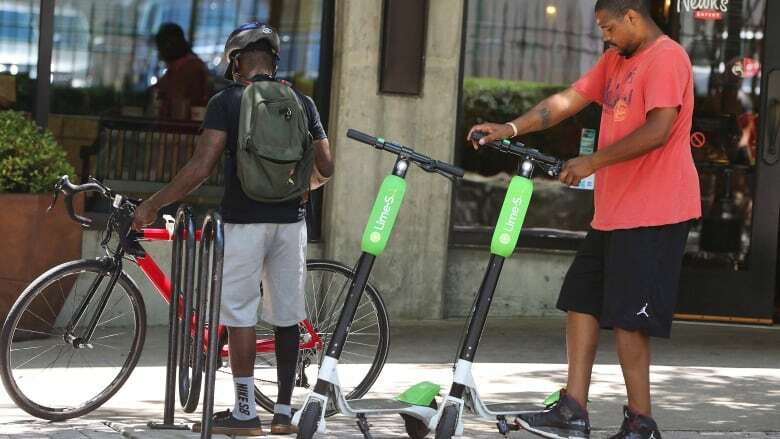 The e-scooters were introduced onto San Francisco streets by the transportation start-up Lime. The service essentially operates like a bike-share program, but the vehicles can be parked anywhere. Instead of docking stations, riders use an app to locate and unlock the scooters via GPS. 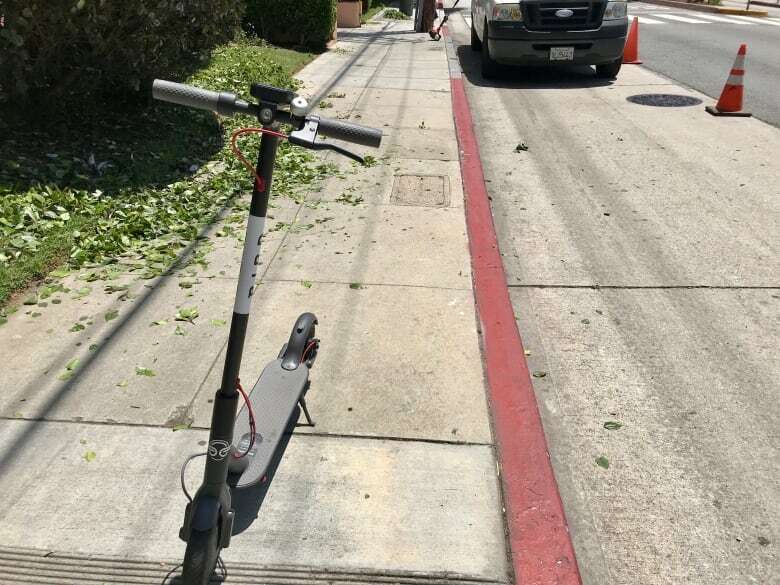 In San Francisco, the scooters quickly proved to be extremely popular, but their unannounced arrival caused major headaches. Within weeks, city call centres were fielding a steady stream of public complaints about parked scooters crowding walkways and riders weaving dangerously on roads and sidewalks. Bus drivers were worried about hitting helmetless riders speeding through red lights, Reiskin said. The electric scooters can reach up to 24 km/h. 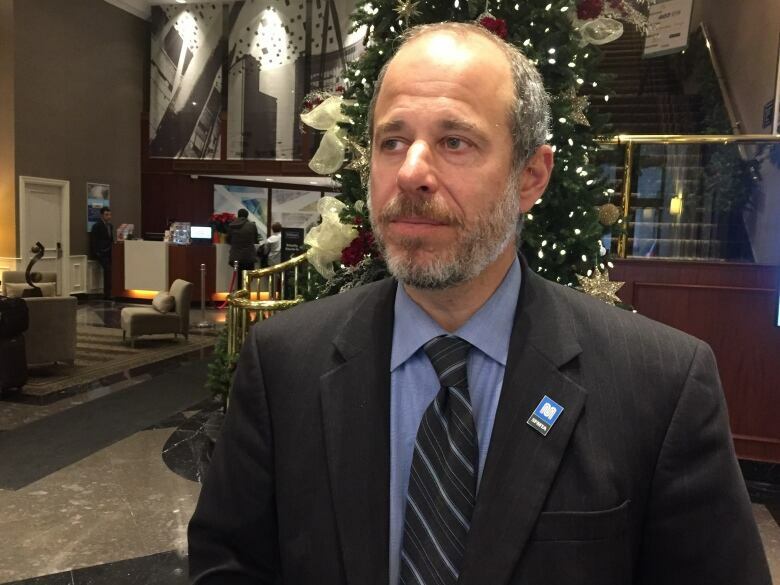 "It was, I'd say, not a very positive experience," added Reiskin, who was visiting Toronto for a transportation conference. This year, similar startups have launched e-scooter services in cities around the U.S. — including Los Angeles, Milwaukee and Washington D.C. — to varying degrees of success. People in the transportation industry expect that Canadian cities won't be far behind. "People want choice," said Martin Collier, founder of Transport Futures, which examines trends and practices in the industry. "They want as many choices as possible." In October, Lime launched its first Canadian pilot program in Waterloo, Ont., where the scooters will be deployed on a 6.5 kilometre trail linking the University of Waterloo to nearby offices. "We have been looking at the Canadian markets for a few months now and have been having discussions with several cities," said Lime's Nico Probst at the time. The pilot project is limited to the trail because provincial laws currently restrict electric scooters from using roads. However, if and when the first e-scooters or dockless bikes arrive on Toronto streets, there may be some useful strategies to avoid what Reiskin called the "mistakes" he and his staff made just months ago. San Francisco banned Lime from city streets after the company's unexpected launch. The city has since introduced a year-long e-scooter pilot project, which is currently limited to 1,250 scooters. Lime was not chosen to participate in the pilot. The company did not respond to an interview request from CBC Toronto. In response to the recent explosion in transportation innovations, including ride-hailing services like Uber and Lyft, San Francisco created a defined set of transportation goals and principles. Broadly, they include factors like safety, equity and affordability, and any company hoping to operate in the city must show that it can help achieve those goals. "We were at a disadvantage in the past because we hadn't articulated those [goals], so it was just a blank slate and people were just throwing stuff on our streets," Reiskin told CBC Toronto. While Toronto has committed to reducing road deaths through the Vision Zero plan, the city does not have a similar, overarching rubric governing all aspects of transportation. Like San Francisco, Toronto has also been playing a game of regulatory catch-up when new transportation services are introduced, such when Uber arrived back in 2012. "It wasn't a good scene and we were caught off guard because we had no policies," said Collier, founder of Transport Futures. It took the city until 2016 before it officially regulated the upstart ride-hailing industry. At the request of Coun. Paul Ainslie, Toronto's transportation department is now working on a report about the possible implementation of dockless bike-sharing services, which have not yet been introduced. However, Reiskin suggests that broader regulations may actually be more effective in regulating vehicles, ideas or services that don't yet exist. San Francisco is now developing those updated bylaws. "If we can make the rules a little bit more generic, that will hopefully apply to the next five things we haven't thought of yet," he said.